1. Borek : I shamelessly begin with food. Yes, I am a die-hard foodie and I love sampling local delicacies wherever I go. 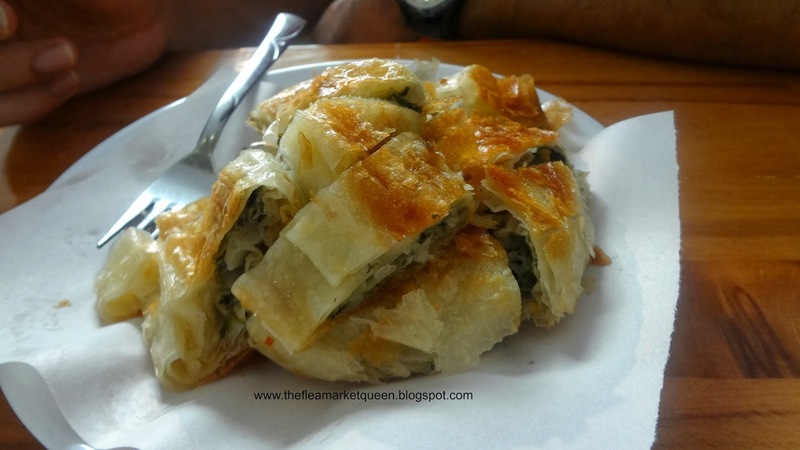 Borek is so special, Istanbul has Borek cafes at almost every nook & corner near the residential areas. 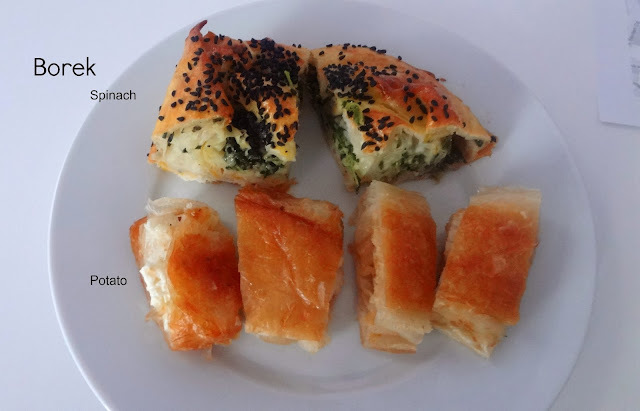 Borek cafes sell only Borek and a special Turkish Tea & Ayran (buttermilk). It is a smoother & much more delicate version than a puff /patties which we get here in India. Infact this is made with a special thin dough called Yufka( phyllo pastry). Each sheet is almost as thin as the thinnest paper & is filled with various options ,where- Potatoes, cheese & spinach are for vegetarians and rest filled with meat. I have tried it at a few places here in Mumbai and i can confidently say, no one makes their Borek better than the Turkish men themselves! 2. Street next to the Egyptian spice market: If you are a first-time visitor , its assumed that you have visited the Grand Bazaar and the Egyptian spice market. 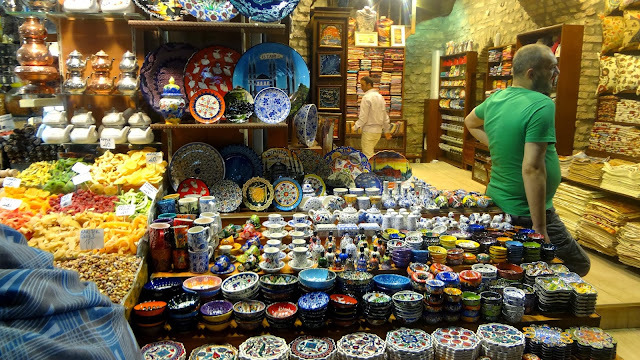 These bazaars look captivating especially because of the way the turkish delight(lokum), savories, spices ,jewellery, potteries etc are displayed. Lets not forget these are all famous tourist places. You would rarely spot locals shopping here. Grand Bazaar is the most expensive followed by Egyptian spice market. I therefore recommend, a street that is next to the Egyptian spice market after you come out of it. 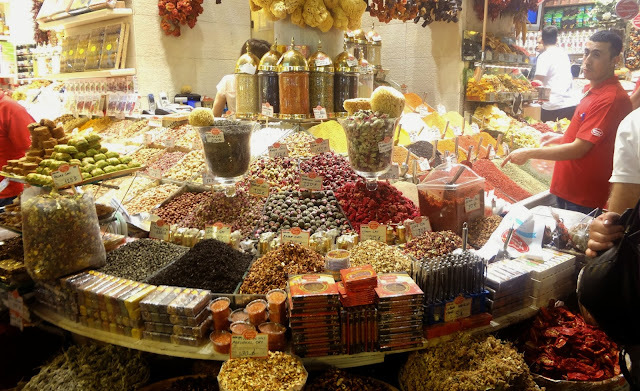 This is where you will see the locals shopping for dry fruits,spices, vinegar pickles , jewellery and everything that you can think of at unbeatable prices! While travelling to Istanbul, i recommend one travel bag especially dedicated to bring back the dry fruits. Dry fruits: Consider buying Hazelnuts, pink pistachios, Cranberry, Visne( sour black cherry), large sun-dried apricot ( pick the dark brown ones as they dont have added color). Always ask for Vaccum packs. Olives: If you are fond of Olives, you can find the best variety to take back home. Pickles: Turkish cuisine is incomplete without vinegar pickles. You can buy separately pickled vegetables or you can mix them in one pack like I did. I bought beetroot, gherkins ( small cucumbers) and yellow chilli ( zero hotness). Its been 5 months & the pickle is still holding up well. And in the meanwhile, I have learnt to make my own! Comment here, if you wish to have the recipe! Spices: Two main spices have become my favorite- Paprika(Turkish sweet red pepper powder) and Sumac( dried sour berry which adds a tang like lemon). Paprika is great for seasoning in starters /soups/ pulses. It imparts a nice red color naturally with lesser hotness than actual chilly. Sumac is a great alternative for lemon. It can be used to season salads, curds and over fresh paneer! Olive oil soaps: Turkey is famous for its hammams( public baths) which use soaps made from olive oil. The soaps are fairly expensive but worth every buck. Thanks to the goodness of olive oil, your skin becomes smoother and healthier. I prefer buying 100% pure olive oil hand soaps which last quite a while and are also available at the local grocery /general stores. Evil-eye : Not just in this market, but almost at every other shop in the city, evil eye merchandise is available. The evil eye is a charm that is supposed to ward off evil-eye or buri nazar. I feel particularly attracted to this charm which is made of cobalt blue glass with a light blue concentric circle painted on it. The light blue circle has a small black dot. These are the found in the form of hangings, bracelets, tiny charms etc. I think these are the best souvenirs to take back home. Ceramics: Painted ceramic cutlery is one of the most pretty things you wish you could carry back home. However, due to its delicate nature, its advisable to carry miniature bowls /coasters instead. 3. Traditional breakfast at Rumeli Hisari: Overlooking the bosphorous, traditional turkish breakfast joints dot the roads. Wake up early at 7 and rush for a heavy breakfast spread for two . This is how it looks. 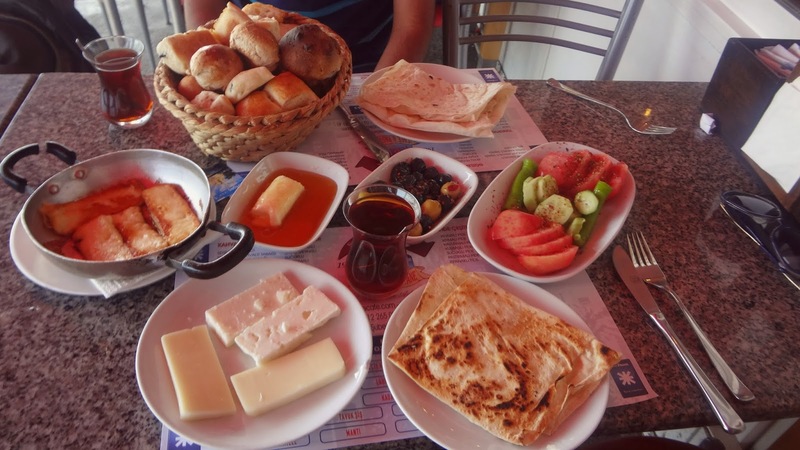 Lots of cheese, olives,traditional breads and unlimited turkish tea. 4. Istiklal street: Situated in European side of Istanbul in the district of Beyoglu, this street is the most busiest of all and is a power house of high-spirits! People sing & dance as they express their happiness while enjoying with their friends on the street. Its almost as if its a carnival there every night! Food, high street fashion , budget shopping, discotheques, spas, cafes, mosques, churches, synagogues, there is something for everyone! As the clock strikes 12 am , the energy levels only keep soaring. Its one hell of a happy place! Just hit any of the discotheques for foot-tapping turkish pop music! At the entrance , you can also buy some beautiful flower headbands in 5 Lira which i wore here. 5. Cherry juice : The moment you board Turkish airlines, remember to ask for your glass of cherry juice. Besides Cappy, there are local brands too. 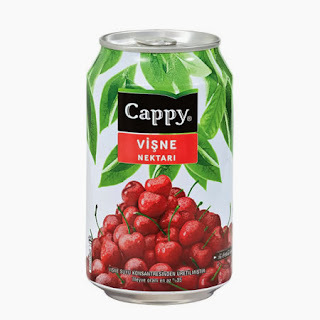 Trust me, its close to impossible to find cherry juice outside Turkey. If you go there next, you know what to get for me! It was tough to choose my favorite 5 in Istanbul and i wish to get back there soon to bring you my next best 5 attractions . The city has so much to offer.Last but not the least , Turkish Airlines has made my travel experience a delight- a Turkish delight. Their food is the best on-flight food , you will ever taste. If you are a gold member, the lounge is a dream. A massive spread of all the delicacies beyond imagination. Olives, cheese, turkish flatbread pizza, baklava, pasta salads, fresh juices, dry fruits & the list is endless. If you visit Istanbul,You will take home a liking for all things Turkish from food to pop music, thanks to the entertainment panels on-board Turkish Airlines which had one of the best foot-tapping collection of Turkish pop music. Its absolutely Language-no-bar! For me, Istanbul in Turkey is the mecca of entertainment & fun. And this is just one of the million reasons, I want to visit Turkey. Hope to explore many more! 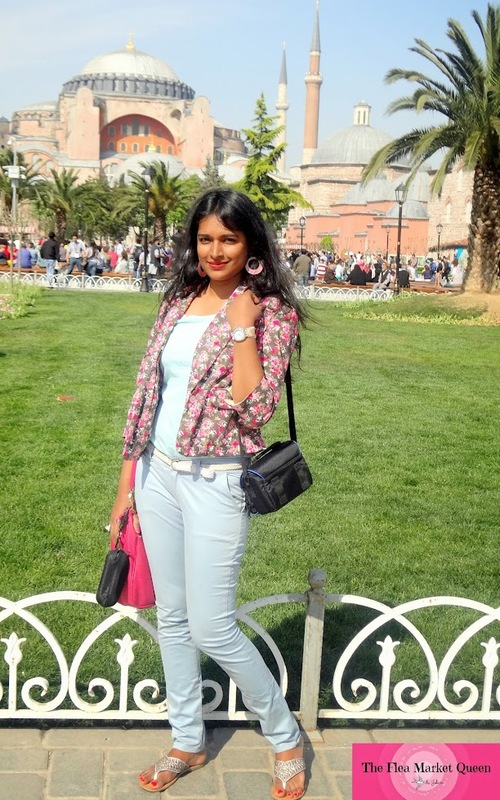 This post is an entry in the "Million Stories" Contest sponsored by the Turkish Embassy, India." Glad, this could attract you :) Its certainly one place I would want to go again & again! Such a lovely post , n very well written. I want to try borek right now. Nice sharing friend. I loved you reading this Blog. I am tourist and visit in different countries for my travel interest. I am also personally visit in this city before my hawaii island tours with my wife to enjoy the winter holidays. The Borek food is so delicious. This food is the most delicious and famous food in Istanbul. The Sultan Ahmed Mosque, Grand Bazaar and Süleymaniye Mosque are the major tourist attraction in this city.